McLaren CEO Zak Brown has revealed that McLaren will race a car in the 2019 Formula 1 season which is "very different" to their 2018 model, and has provided an update on the hierarchy of management within the team, as McLaren will be competing in other motorsports. McLaren are currently in a period bereft of success within F1, having not won a constructor's championship for over two decades. 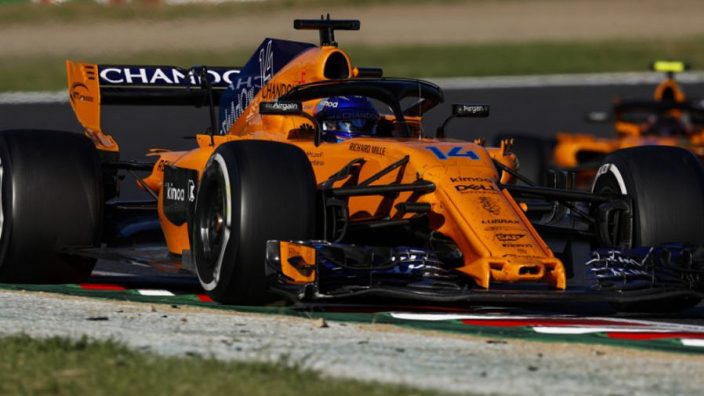 Despite pre-season positivity in 2018, they stumbled to a sixth-place finish in the rankings, with Fernando Alonso regularly suffering from engine reliability issues, and Stoffel Vandoorne regularly finishing behind the Spaniard. They have attempted to catalyse a change in fortunes, starting with the new car, which Brown has emphasised is different to last year. "It will be a very different car compared to 2018," he told Autosprint. "We need good feedback from our drivers, because as the team progresses we need both cars in the points. They know it and it's the team's goal." Not only is the car changing, but McLaren have a completely revamped driving line-up, with Lando Norris and Carlos Sainz coming in to replace the departing Alonso and Vandoorne. McLaren recently announced a new team principal in the form of Andreas Seidl, also, and Brown has highlighted how that changes his position. "Andreas (Seidl) will be responsible for the management of the F1 team," said Brown. "My role is to give McLaren a competitive platform in whatever form of motor sport we decide to race in. "F1 is our priority, and I have to make sure there are the right people in the right places with the right resources. With Andreas (Seidl) and James Key and Pat Fry, I'm really happy with the team we have put together,"